This list is for both the developer who could use some help navigating the world of design and the designer who is always on the hunt for a new weapon to add to their arsenal. Debugging Gems in a Rails is fun and easy, when Bundler started giving me nonsensical errors I cracked it open to take peek. Flexbox is the answer to so many frontend developers nightly prayers. It helps with column-based layouts and has a few more tricks up its sleeve. You won't believe the part about content-ordering! Junior Developer Tips – Which Programming Language Should I Start With? Rahul Gulati asks what programming language should I start with? Tekst Test Moto X Style. Nie ma to jak czysty Android! został opublikowany przez serwis Recenzator. 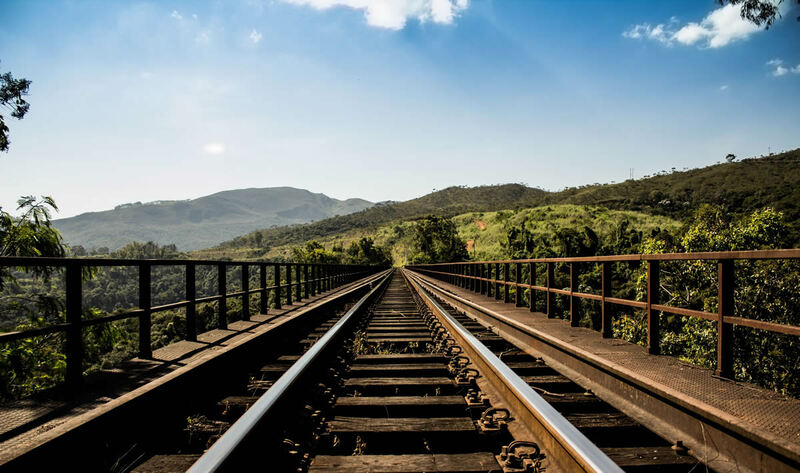 Why is Ruby On Rails a Good Fit in 2016? An overview of why we use Ruby on Rails and why it is a good framework for the people we work with. Over the years, we’ve had a number of product ideas. Here are five applications that never survived. Should we upgrade to Rails 5? Version 5 of Ruby on Rails is coming soon! Using this new version is a no-brainer for a new project, but should your team take the time to upgrade your existing Ruby on Rails app? Tekst Trzy powody, dla których warto obejrzeć Batman v Superman (i jeden na nie) został opublikowany przez serwis Recenzator. Will it make an impact? Art, without distribution and discovery, moves nobody. Did it ever exist? Science, without clear explanation and advocacy, won’t be understood by the masses. Will it make an impact? Steve Suo and Grant Butler from the Oregonian/OregonLive share their experience of working with our team and the results of our redesigned Recipe Box; from a more inspiring and searchable application, to an increase in traffic, to simultaneously freeing up their staff time to focus on the content they serve to customers. 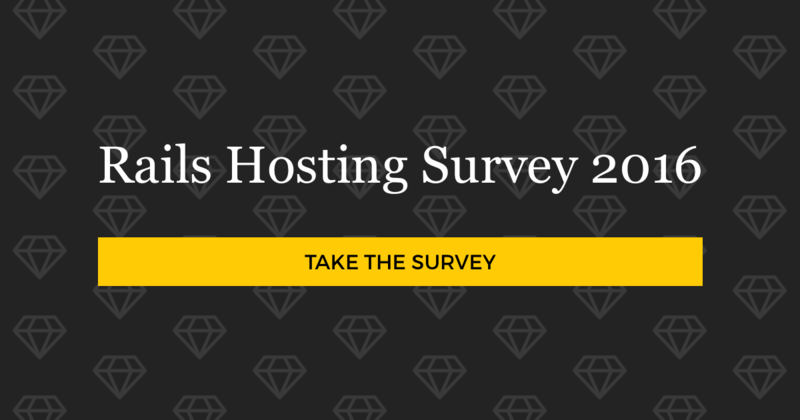 The Rails Hosting Survey is back for the fourth time! This is your opportunity to share your thoughts with the community and gauge current trends in Rails hosting. I recently had the opportunity to use D3.js for the first time. The learning curve was steep, I was able to produce a series of dynamic charts that I was quite proud of. Here is a summary and brief walkthrough of my learning experience. Tekst Najlepsze smartfony do 1000 zł – moje propozycje, które testowałem został opublikowany przez serwis Recenzator. Let's discuss a few ways that we've used Computed properties in Ember.js. Tekst Huawei Watch – test najlepszego zegarka z Androidem Wear został opublikowany przez serwis Recenzator. Tekst Google Keep + Google Calendar + Notatnik. Tak uprościłem zarządzanie sobą w czasie został opublikowany przez serwis Recenzator. Business-as-usual decision-making is busted: we strive for consensus; we don’t make tough calls; we aren’t transparent about how choices are made. The sprint corrects these problems. There’s a common issue I've been having with the default way that simple_form renders the markup for checkboxes and radio buttons. It’s been irking me for some time, because all that needs to happen is have an element that wraps both label and input together so we can style them as a block. Early in our Ember development we came to a crossroad that had significant impact on the Model structure in our application. In this post I’ll summarize one of many issues we ran into during those first several months, and solicit feedback in search of a "best practice" for the Adapter/Serializer structure in the following scenario. Although there are regulations and complicated processes to contend with, is designing useful health care apps so different from designing other types of applications? Other industries, services, and companies are increasingly embracing technology and improving user experiences every day. And yet the management of our health and wellbeing seems to be quite far behind. Redesigning for digital health care will be a hurdle that we need to overcome. Here are just a few main points to show what’s at stake if we ignore or wait for someone else to figure it out. I’ve used a lot of different jQuery plugins without giving them much of a second thought after implementation. With slick carousel though, each time I come back and use it I’m a little more impressed each time. All the features I need are built right in, are intuitive, and work consistently. Some important questions to keep in mind when you’re interviewing potential development partners. What many veteran network members might find surprising is the event participants communicate with each other far more than do the members of the traditional networks who’ve known each other for years. And they share – boy do they share! They don’t feel the need to be locked into a long-term network arrangement to solicit and offer feedback. They help strangers and expect to be helped by strangers. As a member of the Owner Summit / Owner Camp network, I thought this was a fascinating read about the history of industry peer groups. At the moment, it's become one of my best tools in my toolbox. Not knowing something is the basis of creativity, imagination, and innovation. That’s where scientists come from. 'I don’t know' is their most important question. Tom Stuart posted up an excellent article on Automatic Differentiation in Ruby with links to his talk slides and video. If your coming from gdb to lldb, there’s a few differences in commands. LLDB has great documentation on some of the differences. Everything in this post about LLDB is pretty much there. David was kind enough to put together a demonstration of how to take advantage of Action Cable in Rails 5. In the video he puts together a small chat application. Smooth animations and flawless transitions are key to perceived performance in modern mobile applications. Without the right tools, tuning iOS animation for efficiency can be a challenge in itself. In this article, Toptal engineer Stefan Progovac demonstrates the role of Instruments, a sophisticated set of performance profiling tools for iOS, discussing how they can help you understand animation performance bottlenecks and some strategies for working around them. Processing makes prototyping visual apps a breeze. With its easy to use programming constructs and some mathematics, building a simple game is a lot easier than one may think. In this article, Toptal engineer Oguz Gelal provides a step-by-step tutorial to building a game using Processing and porting it to the web. Support for compiling Pony programs on ARM and 32-bit x86 landed recently. This allows compiling and running Pony on Raspberry Pi and other ARM devices. I was curious if it would be possible to compile Pony programs to run on Android and this post outlines how I got a "Hello World" example working. The Pony compiler, ponyc, does not currently support cross compilation. It uses the C pre-processor to generate code for the platform it is running on. This has hardcoded assumptions for byte size (32 vs 64 bit) and processor support (ARM vs x86). Note that this is a proof of concept and hacks the compiler and runtime source to get things working. From this I hope to learn more elegant ways of supporting cross compiling. My quick look at Pony post covered how to use the FFI to call C code from a Pony program. It's also possible to compile Pony code to a C library that can be linked into a C program. This allows integrating Pony into existing C projects without having to convert the C project into a library to be called by Pony. I've put a small example of how to do this on github at https://github.com/doublec/pony-clib-example. REST APIs have become a common way to establish an interface between web back-ends and front-ends, and between different web services. The simplicity of this kind of interface, and the ubiquitous support of the HTTP and HTTPS protocols across different networks and frameworks, makes it an easy choice when considering interoperability issues. Bottle is a minimalist Python web framework. It is lightweight, fast, and easy to use, and is well-suited to building RESTful services. In this article, I'll provide a walkthrough of how to build a RESTful API service using Bottle. Talking about proximity marketing will get you varying reactions, from concerns about privacy issues to the idea that your phone is going to spam you with annoying ads non-stop, but if you boil down the idea, there are some really compelling concepts here. When you clear away all the buzzwords, what exactly is this shift we’re seeing? It’s the world customizing itself to you. The world is reacting to your presence, specific to you as an individual. Retailers and start-ups have taken notice, and the concepts of mobile location analytics and proximity marketing are emerging out of that. The long-term effect of the Cold War on science and technology is more profound than Nena’s 99 Luftbalons, or any Oliver Stone Vietnam flick. If you are reading this, you’re already using Cold War technology; The Internet. That’s not all. A lot of tech and infrastructure we take for granted was developed, or at least conceived, during these tumultuous decades. Major version updates to libraries solve the API warts of old and bring shiny new APIs to address previous shortcomings—often in a breaking fashion. Updating an Android or Java app is usually a day or two affair before you reap the benefits. Problems arise, however, when other libraries you depend on have transitive dependencies on older versions of the updated library. Spotlight search in Apple iOS 9, compared to earlier versions, has been made much more prominent and personal. With suggestions from Siri and integration opportunities for third-party apps, iPhone's search functionality is no longer limited to the scope of Apple's own apps. In this article, Toptal engineer Richard Forsythe explores some iOS SDK functionalities that allow apps to make content available to the user via Spotlight search. Maintainable code is something we all desire and there are no shortage of coding principles that promise it. It is not always apparent how tremendously useful these principles are during the early stages of development. Nonetheless, the effort put in to ensure these qualities certainly pay off as the project grows and development continues. In this article, Toptal engineer Adel Fayzrakhmanov discusses how the Single Responsibility Principle is one of the most important aspect in writing good maintainable code. I went to the Women in Machine Learning conference yesterday (part of NIPS). It was SO FUN. I never go to academic conferences, and talking to grad students about their research and what methods they think are exciting is amazing. I actually liked it a lot more than an industry conference because everything was so alien & unfamiliar to me and everyone knew way more about their field than me. I learned more than I did by going to (for instance) PyCon, which is a fantastic industry conference. It really made me want to reconsider what conferences I go to, and to go to more conferences in fields I’m less familiar with.